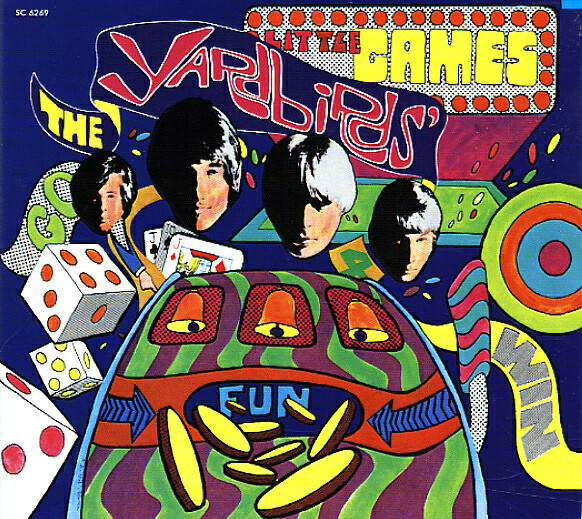 Gritty and powerful grooves from The Yardbirds – a set that mixes bluesy guitars and psych in a pretty incredible way – all infused by excellent work from the young Jimmy Page, at a level that predicts course he's take with Led Zeppelin just a few years later! By the time of Little Games, the group are really hitting their stride – moving way past simple mod modes or garage grit, to find that sharp-edged sound that made the Yardbirds one of the best of their generation – and a huge influence on groups for years to come. The set was produced by Mickie Most – and titles include "Little Games", "Smile On Me", "White Summer", "Glimpses", "Drinking Muddy Water", "Little Soldier Boy", "Only The Black Rose", "No Excess Baggage", and "Tinker, Tailor, Soldier, Sailor". © 1996-2019, Dusty Groove, Inc.